Many species in this family are effective pollinators, feeding on nectar and pollen. They are often managed on farms or in backyards. Mason Bees are attracted to fruit blossoms, and are often used to pollinate orchard fruit crops, such as apples. 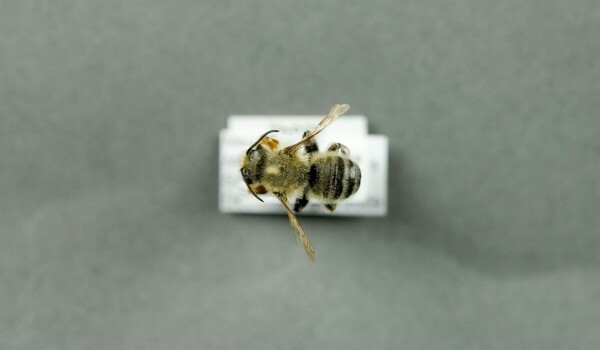 Leafcutter Bees prefer legume flowers, and are very important pollinators of alfalfa. 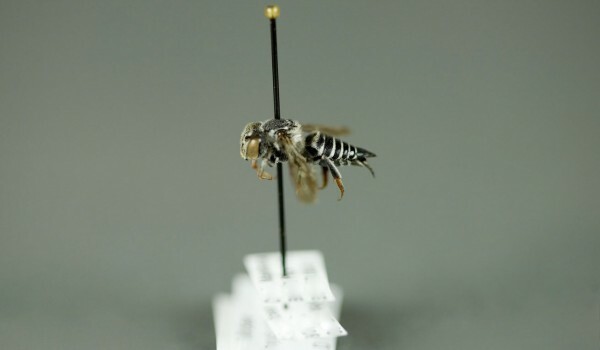 This family also includes species that parasitize the nests of other bees. Most nests incorporate a series of brood cells. Females provision the cells with pollen then lay their eggs inside. Leafcutters line and seal off these cells with pieces of leaves. Mason Bees do the same, but use chewed mud or plant fibre. Larvae develop inside, emerging as adults. 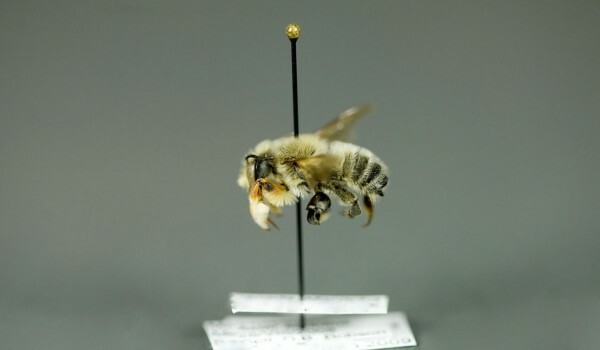 Other species are parasitic and lay their eggs in the nests of other bees. 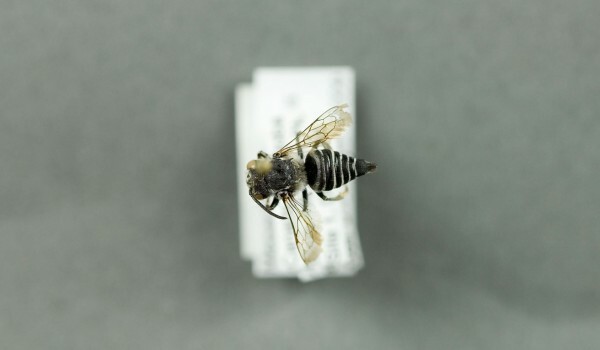 These bees are moderate in size, 6–20 mm long, with stout bodies. Their wide head and strong jaws are used for gathering nest materials. 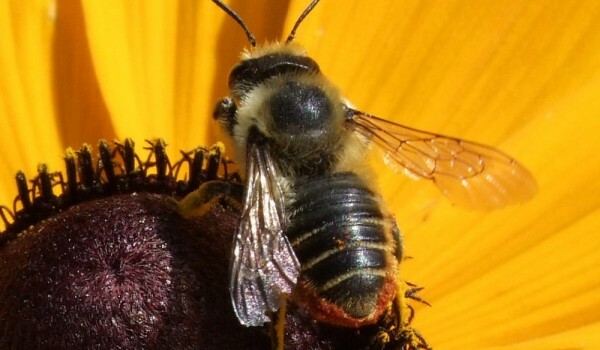 Most species, excluding parasites, have stiff hairs on their belly for carrying pollen. Leafcutters are usually black with pale yellow bands on their abdomen and face. Masons Bees on tend to be metallic green or bluish in colour. 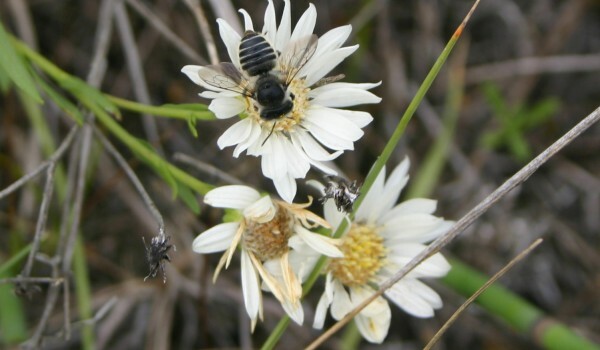 These bees nest in a variety of places including cracks in soil or rocks, cavities in plants (e.g. wood, hollow plant stems, etc. ), abandoned animal burrows, and even empty snail shells. Adults are typically found flying in fields with flowers.